By Derek Arens, P.E., Bolton & Menk, Inc. Imagine a regional highway, carrying 15,000 vehicles daily, closed 10 times in 50 years solely due to flooding. Now imagine five of those closures occurring in the last six years. Residents of St. Peter and Mankato, along with thousands of Minnesotans who travel Highway 169 daily, had been dealing with this issue since the 1960s. 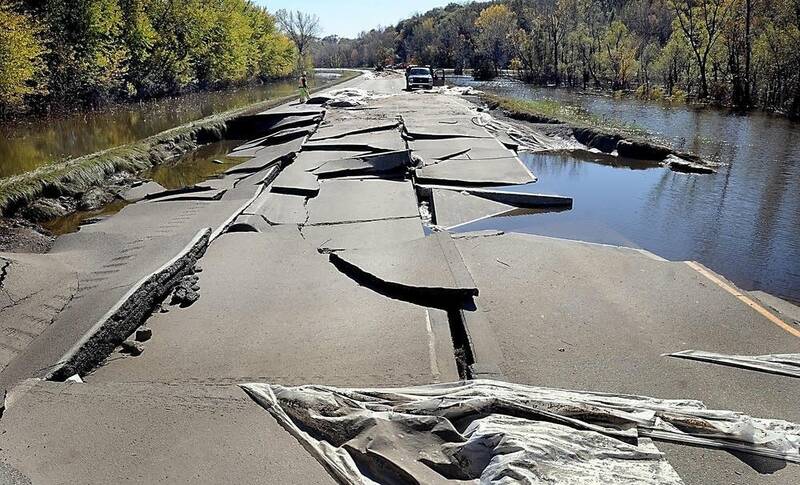 The Minnesota Department of Transportation (MnDOT) District 7 and local agencies knew raising this roadway out of the Minnesota River floodplain was the only solution. However, with an estimated cost of more than $30 million, project funding was a significant hurdle. 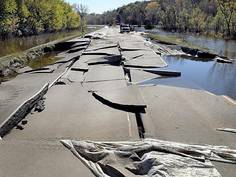 Region Nine Development Commission and the National Association of Developmental Organizations (NADO) approached MnDOT about pursuing Disaster Relief Funds from the Economic Development Administration (EDA). 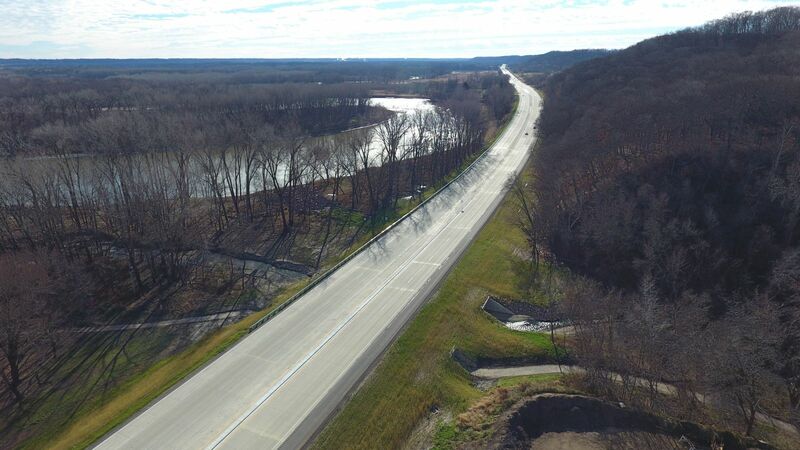 These groups collaborated and secured $9 million for the project, making Highway 169 the first roadway in the nation to be funded with EDA Disaster Relief Funds. This four-lane divided roadway project was not easy. The improvements included replacing seven miles of concrete pavement, reconstructing and raising the grade of two miles (up to six feet in some areas), improving drainage, and adding median barriers to minimize head-on crashes—all within right-of-way restricted by the Minnesota River floodplain and nearby bluffs. In addition, because of the high traffic volume, it was imperative that closures and detour durations were minimized. Innovation was crucial to meet all of these stipulations. 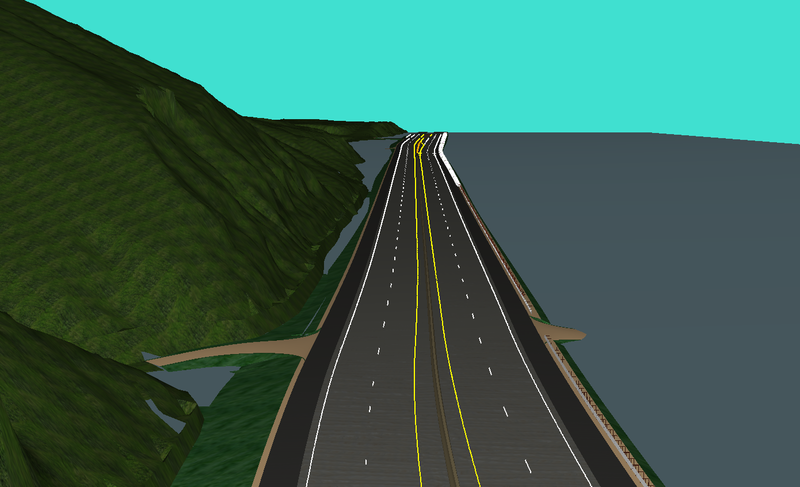 Bolton & Menk, Inc. used the 3D modeling software Corridor Modeler by Bentley to develop 3D surfaces for all sections of the roadway. We were able to reach a level of accuracy not typically achieved with traditional alignments, profiles, and cross sections. The design team also analyzed the design through innovative 3D visualizations. Examples include a 3D analysis of the stopping sight distance around a proposed median concrete barrier on a superelevated curve (Figure C); and a model replicating a 100-year flood event verified the proposed freeboard of the roadway (Figure D). The 3D design information was also easily transferred to the contractor who used it for stakeless grading of the select granular, aggregate base, pavement bottom, and final slope grading surfaces. In addition to the stakeless grading surfaces, the concrete pavement was constructed using a stringless paving process. 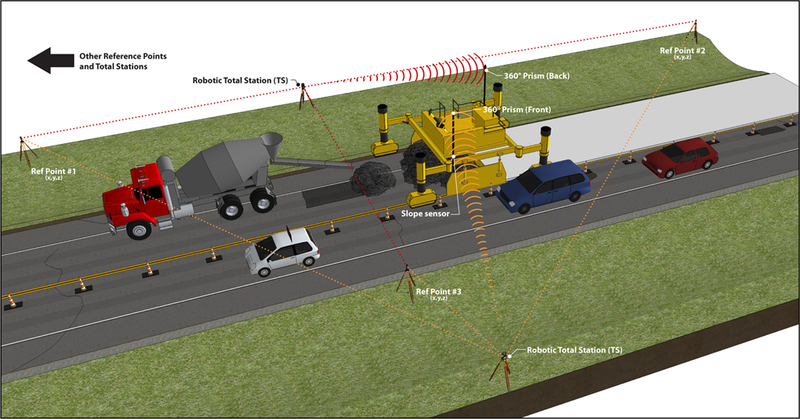 This process was achieved by extracting 3D polylines at each lane line from the design and setting up adjacent control stations in the field to communicate with the concrete paver (Figure B). 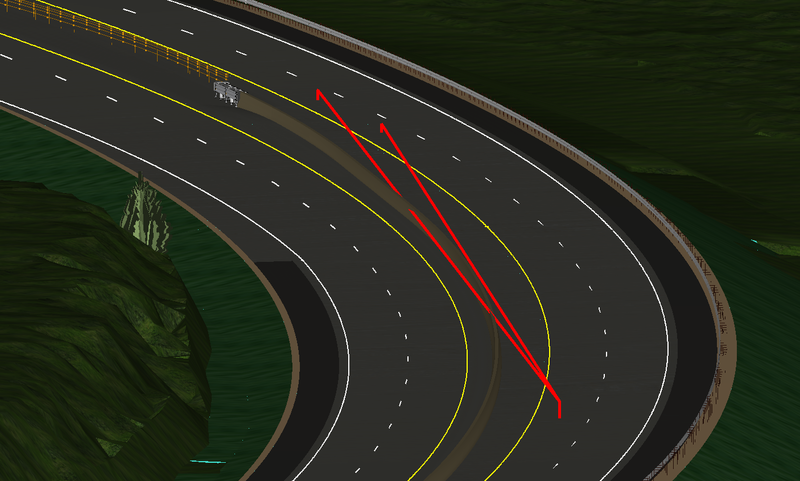 By providing the paving contractor the extracted 3D polylines from Corridor Modeler directly, we achieved far greater accuracy than standard roadway design methods. This process allowed the paving machine to travel along virtual edges. Although stringless paving is relatively new to Minnesota construction, it has been used extensively in neighboring states and across the country. To date, there have been few stringless concrete paving projects in Minnesota; all were constructed by out-of-state contractors. Stringless paving technology allowed the contractor to be ready for paving in any area of the corridor, within hours, not days, because they were no longer reliant on surveyors to set up stringlines days in advance. New technologies and innovative processes were essential to completing this project in an aggressive eight-month timeframe—with only 18 weeks under a full closure and detour. MnDOT, the consultant staff, and the contractor representatives worked together to provide the necessary design data, survey control, and machine control expertise to deliver this critical infrastructure and economic improvement project. This project has set a precedent. Future projects must strive to implement new design and construction technologies in an effort to improve design and construction outcomes.